As I planned this study unit, I kept the needs of my grandsons in mind. Tigger, 6, already had some knowledge of Thanksgiving, so I wanted to build on this. He would most likely be able to read or decode several words on each page, so I would probably have him read several of the pages with me on the second or third read throughs. Tigger would also benefit from recognizing rhyming words in the story. Additionally, I wanted him to memorize the date in the story. Kona, 4, knows short vowels and most consonants, so I would focus on having him repeat initial sounds of the keyword on each page. He’s at an age when he should be learning some basic facts about Thanksgiving. Since he loves cooking and dramatic play, I definitely wanted to include those type of activities. Crafts should be designed that would develop his fine motor skills. Tahoe, 2, will really enjoy the pictures in the book, so I’ll spend a lot of time discussing what he sees in the pictures. He will probably enjoy dramatic play and other physical activities. His crafts will focus on shapes and gluing. I always over plan, and I may list more than one activity for each intelligence so I have choices. If you use this study unit, it is best to do at least one activity from each intelligence, but don’t feel that you need to use every activity I described. This was planned as a four day unit. Each day I read the book to them and provided two other activities from this list. 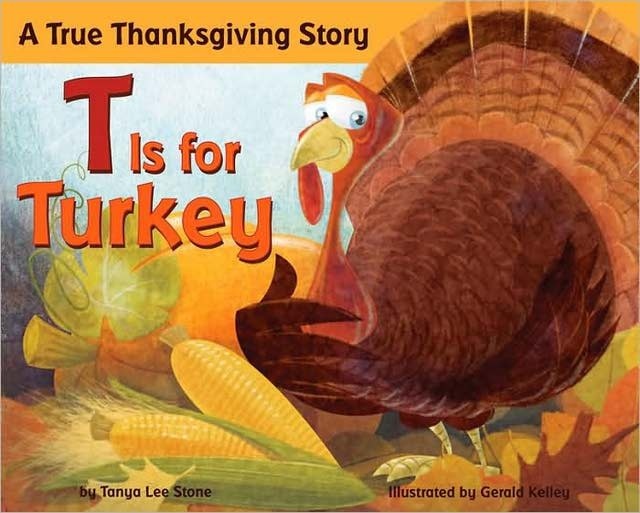 Read the book T is for Thanksgiving daily.. Discuss the rhyming words on each page. Discuss the sound each alphabet letter makes at the beginning of the keyword on each page. Make a list of foods served at the first Thanksgiving as shown in the pictures or mentioned in the story. Have two youngest grands count the number of letters in the alphabet as you turn each page. Have oldest grand write or trace the year 1620 on some paper or on a rock in the yard. Teach him how to pronounce this year. Show oldest grand how to subtract 1620 from the current year. Find Cape Cod on a map or globe. You can also trace the voyage on a globe starting at England, sailing across the Atlantic Ocean, and ending at Massachusetts. Make a poster of foods eaten at the first Thanksgiving by drawing pictures or cutting them out of magazines. Kona draws lines on paper towels with markers. By adding small drops of water along each line, the ink on the marker spread out. The ink from the markers is spread by the water, giving a “feathery” effect. When the paper towels were dry, I cut them into feather shapes. Here is Tahoe’s finished turkey. Besides making the “feathers”, he cut out the heart shapes and the legs. Tahoe’s turkey craft required him to use a glue stick and unpeel the paper from the backs of the foam stickers. Play Aaron Copland’s “Appalachian Spring” while doing craft activities or when reading the book aloud. Guessing Game- After reading the book several times, have the youngest grand say an alphabet letter and have the older grands say the keyword from the story to match the letter. Tahoe pours in the corn muffin mix. Each grand was able to pour in a can of the corn. My grandsons love to cook with me. Visit a farm stand or actual farm to see what foods are being harvested at this time of year. Plant seeds for beans, squash, or any vegetable that will grow this time of year in your geographic location. Walk around the neighborhood or park. Notice the rocks that you see on your walk. Do you think any if them are large enough to be Plymouth Rock? If you see a special rock, give it a name. Ask each grand to name their favorite page in the story. Ask each grand what they are thankful for at this time of the year. Give each grand the opportunity to explore this book or other Thanksgiving themed books by themselves. Dramatic Play-Reenact the first Thanksgiving meal. Don’t forget to use the phrase “Good Morrow ” as you greet each other. Gathering Logs-Place several packaged paper towel rolls at one end of a room or hallway. Have a grand start at the other end of the room or hallway and run to collect one log. Then return to the starting line to stack the “log”. Repeat back and forth until all the “logs” have been collected. (Sorry the pictures below are blurry, but my camera is not very good at focusing on running toddlers). Kona stacked up paper towel rolls to represent a pile of logs. Kona carries his “logs” one at a time. Tahoe picks up a “log” from a stack of paper towel rolls that Kona built. We love that corn pudding recipe and have made a few variations of it with more or less butter/ eggs/ & sour cream. It’s become a Thanksgiving day staple on our family table. what a fun week and awesome crafting! Blessed are you for sure! We love doing crafts that correspond to our books. I love how you made the feathers from paper towels. We have done this method with coffee filters, but never paper towels. 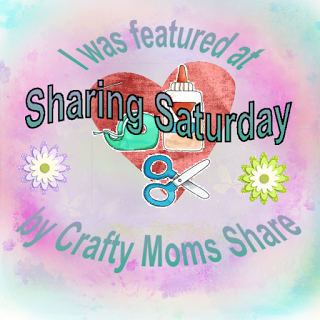 Thanks for sharing at Made for Kids! My grand boy is 2, and I can hardly wait to do fun things like this! I’m so glad you like these ideas. My grands certainly had fun with them. Thank you so much for sharing it on Literacy Musing Mondays. I love this link party! What a fun vowel song! I usually teach the vowels to the tune of BINGO, but I like having seasonal options. Thanks for sharing at the #LMMLinkup.